Featuring a standard turbo engine and available wi-fi, there has never been a better time to upgrade to the new 2019 Chevy Cruze than right now. Lucky for you, you can nab a new Cruze at Henna Chevrolet in Austin, TX today. Stop by now and enjoy all of its luxurious features. You'll be driving with ease as you take on the Texas roads with advanced safety systems, integrated technology, and a future-ready style. Stop into our Austin, TX showroom for a test drive today! It doesn’t matter whether you go for the Cruze Hatchback or the Cruze Sedan, you're getting a great car that has the power to get you wherever you're going with plenty of fun and pep. Enjoy a 1.4-liter EcoTec engine or ratchet things up a notch with Chevy's 1.6-liter Turbo Diesel EcoTec engine. Either way, you'll get a great ride with plenty of control thanks to the 6 or 9-speed automatic transmission and standard front wheel drive. Are you ready to go faster? Then fall in love with the 2019 Chevy Cruze today! 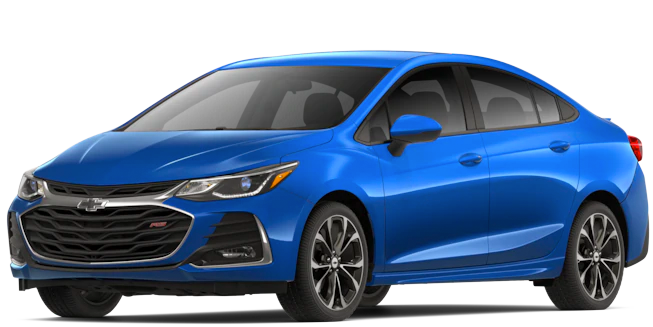 The 2019 Chevrolet Cruze comes standard with 10 airbags and is both OnStar® and Chevrolet Connected Services capable. 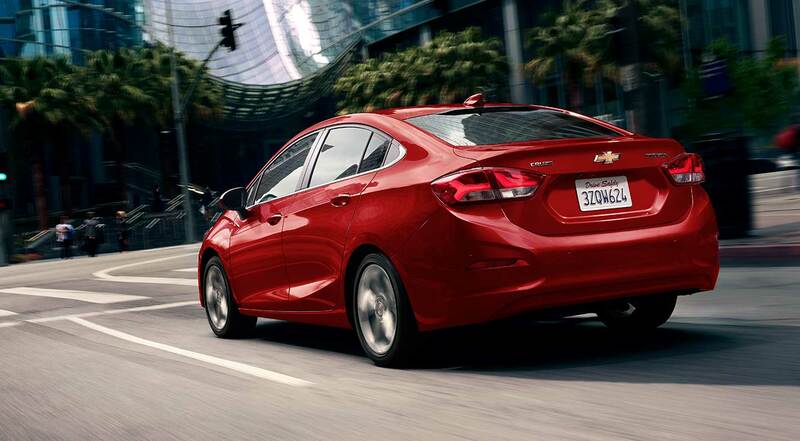 You'll have peace of mind knowing that your new 2019 Chevy Cruze also rocks a standard rear vision camera, tire pressure monitoring system and StabiliTrak, an electronic stability control system. Rear cross traffic alert and rear park assist are available on the Premier level Cruze and standard on the Diesel. Whether you're driving through Round Rock, TX or across the country, you want to stay entertained on your route. Henna Chevrolet gets that and so does your 2019 Chevy Cruze. Let the Cruze enchant you with features such as an available 6-speaker audio system, 60/40 split folding rear seat, an available Bose® premium audio system and more! Chevy makes it easy to get excited about your drive and Henna Chevrolet makes it easy to get pre-approved for financing right from our website! Don't let another moment pass you by. Hop into a 2019 Chevy Cruze and hit the road with the latest in safety, tech and style. Enjoy up to 47.2 feet of cargo space and a 4-door body that makes life easy when you and your crew want to take on your next adventure. When you're ready to get into your new Cruze, simply head down to Henna Chevrolet and speak with any of our expert sales members for more information and a fun test drive of the 2019 Cruze!